Introducing just one extra step in your hair care routine can help you make your hair silky-smooth and lustrous, the magic ingredient that you need is a hair mask! It may sound equivalent to a conditioner but it isn’t, it deeply repairs damaged strands and provides them with much-needed care. However, it can be quite difficult to choose from the numerous choices on the market, especially when brands such as L’Oreal, Matrix, and Wella are all known for having amazing hair products. After reading this article though, you will be able to understand what type of hair mask will work best for you, whether it be to counter hair fall, battle dryness, or make your hair glossy! This article will also recommend top 10 hair masks you can buy online that will help make your healthy again! Hair masks can only work their magic if you select one that suits your hair’s needs, therefore it is essential that you figure out what your hair requires before you begin looking at products. There are a few important things that you should think about when choosing a hair mask. There are particular ingredients in hair masks that you should try to look for or watch out for in order to make the condition of your hair better. If you have extremely dry hair then what you need to check for is that whether a hair mask has any natural oils listed as one of its main ingredients. The most moisturising oils for your hair include jojoba oil, olive oil, argan oil. etc., and they not only keep your strands hydrated but also protect it from UV rays in summer! They provide proper nourishment to your hair and keep it feeling super-soft, therefore if you want to combat dry, rough hair you must try to choose a product that has these moisturising agents. Colour-treatments and chemical straightening can immensely damage your hair over a period of time, so if you want to bring your hair back to life, you should choose a hair mask that is keratin based. 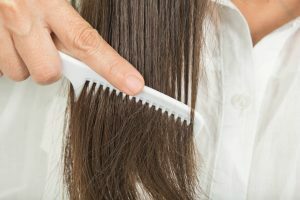 Keratin is the protein that forms the outer layer of your hair strands, it fills in any gaps in the hair cuticles and helps achieve a smoother feel, which is why it is such a popular ingredient. Hair masks that use keratin are great for treating damaged, frizzy hair as they will help fix the gaps in hair follicles and provide a silky-smooth finish. In the past few years, silicone-free hair products have become more popular, but silicone-based ones shouldn’t be completely shunned as they too have some unique benefits. If you want to know whether a hair mask has silicone or is silicone-free, check the ingredients list for dimethicone, amodimethicone, or just any ingredient ending in “cone”. Silicone has garnered somewhat of a bad reputation, but it’s mostly because people who shouldn’t be using silicone-based products have been judging it. Silicone works wonders for anyone who wants to make their hair smoother and shinier but does not want to spend too much money on a hair mask. It acts as a barrier, protecting the hair from any environmental damage and preventing moisture from leaving the strands. However, too much of it can make your hair limp therefore it is advised to use silicone-based hair masks in moderation. If you have a damaged scalp then a silicone product may cause irritation and further damage your hair. For such people, silicone-free hair masks would be a better choice as they can repair the scalp as well as provide the hair with adequate nourishment to make it healthier. In addition, silicone-free hair masks are much lighter and don’t weigh the hair down, which makes them perfect for people who want their hair to have more volume. Hair masks that use high-quality ingredients can be pretty expensive, so if you want to use them more than once a week, this type isn’t exactly ideal for you. If you need a hair mask for frequent use then, it makes more sense for you to purchase a more reasonably priced one, and if you want you could keep a high-end option for special occasions or when your hair really needs a boost. By doing this, you will be able to improve the condition of your hair without having to burn a hole in your pocket and who doesn’t want that? We shall now recommend the top 10 best hair masks that you can conveniently buy online and rank them based on their performance as well as their price. We hope that you will be able to find the right one for yourself from among these! This hair mask has a non-greasy formula that doesn’t weigh hair down and therefore it works well for those with fine hair as well as those with thick hair. It makes the hair a lot smoother from the first use and makes it much more glossy too. The lightweight formula makes sure that the hair doesn’t lose its bounce or remains tangle-free for longer. Despite all these effects though, there are some major downsides to this product, the biggest one being its heavily chemical based formulation. 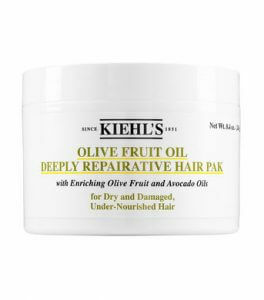 Additionally, even though it isn’t exactly cheap, it doesn’t offer proper nourishment to the hair and just works on a more superficial level making it hard to imagine any long-term improvement. This mask is a cult favourite for all those with thick, curly, and unruly hair who want to achieve frizz-free, smooth, and manageable hair. 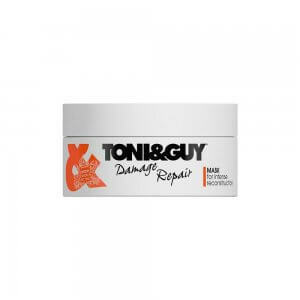 It has an extremely moisturising formula that not only helps detangle but also makes the hair much softer. It is recommended to keep this mask on for longer if you have longer or extremely dry hair. The biggest disadvantage though is that despite its amazing results, it is a really pricey product, and you need to use quite a bit every time so it runs out considerably faster too. It is also not a good choice for those with an oily scalp or really fine hair as it can make the hair seem limp and greasy. 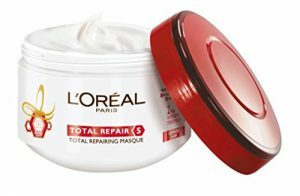 If your hair has become rough and straw-like because of excessive chemical straightening or bleaching then you should give this mask a try. It has a keratin-based formula with amino acids and lipids to help bring back rough, chemically treated hair to life and making it smoother and shinier. It is also great for maintaining semi-permanent straightening treatments and helps them last much longer without weighing the hair down. However, this mask contains a lot of chemicals, including silicones, which may cause irritation to those with sensitive scalps. Furthermore, it has a pretty heavy formulation, which makes it unsuitable for those with fine hair as it will definitely weigh it down even more. This is another mask that works really well for those with chemically straightened hair who want to see immediate results. 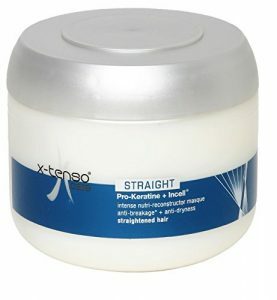 It is a silicone-based option that allows you to achieve instant softness and smoothness while also reducing frizz. The tub may seem small but you only need to use a little bit so it won’t run out too quickly. It is important to rinse this mask out properly though cause otherwise it can make the hair seem oily and limp. It is also not the best choice for those who want a lot of volume as this is really smoothing and won’t allow for too much volume. A more natural hair mask that contains no sulphates and parabens, making it great for those who prefer natural ingredients and long-term results. It contains argan oil, vitamin E, and rose oil, which are all wonderful for moisturising both the scalp and the hair follicles. 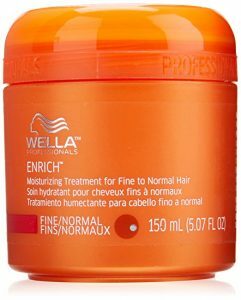 It makes the hair much softer, smoother, shinier, and easier to manage, especially for those with thick, curly hair. Although it is a largely natural product, the formula is very heavy and is not recommended for those with fine hair. Additionally, it is not a great option for those with colour-treated or chemically straightened hair either because the lack of chemicals could result in this mask stripping away the effects of those treatments. This hair mask is a great option for everyday use as it is affordable and its formula is very lightweight. It contains ceramide which makes the hair follicles smoother and keeps them frizz-free, although it works better for those with straight or slightly wavy hair. Using too much of this at once can result in buildup and oiliness so be wary of that to prevent your hair from looking limp. It is also important to note that its effects are quite temporary, but since it is budget-friendly, you could use it regularly without worrying too much. This mask is one of the best options available for those who are interested in a more natural option. 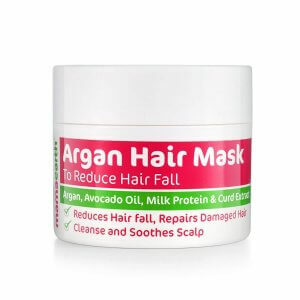 It contains argan oil and avocado oil to help provide proper nourishment to the scalp as well as the hair shaft. It also contains other essential oils that help tackle dryness on the scalp and also promote hair growth. 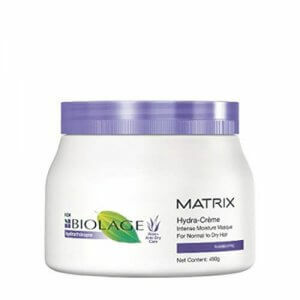 It has a lightweight formula that makes the hair softer and smoother without weighing it down. It is especially recommended for women dealing with post-pregnancy hair fall issues. It is, however, important to note that since it uses a lot of natural ingredients, there might be some that you are allergic to or that do not suit your skin. It also has an interesting scent which a lot of people do not like so if you’re very picky about fragrances then maybe you should choose one of the other options. 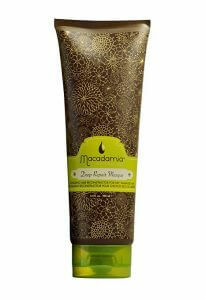 If you are looking for a hair mask is affordable, paraben-free, and yet offers great results then this the one for you! This hair mask contains aloe vera extracts to provide hydration to dry hair and makes rough, unruly hair much softer and smoother. It is quite a heavy formula so it works best for those with thick hair and curly or wavy hair textures. 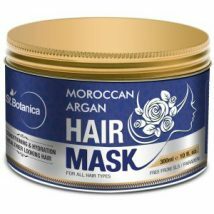 This mask makes the hair much more manageable and easier to work with, especially if you have heavily damaged hair due to chemical treatments or environmental factors. It may not seem that cheap initially but considering the quantity, it is an absolute bang-for-your-buck. 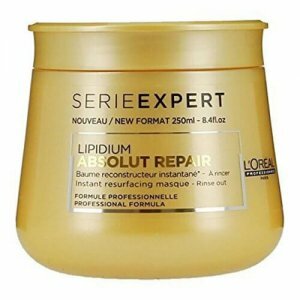 This hair mask is the most expensive one on the list but its long-lasting effects make it absolutely worth it. It has a lightweight formula made with avocado oil and olive fruit oil, both of which are great for hydrating dry hair and making it softer, smoother, and glossier. It works well on fine hair as well thick hair, and it is also safe for colour treated, bleached, and chemically straightened hair. Since it is full of proteins so it is recommended to use it every week or every fortnight rather than every day. If you have fine hair, you should keep it on for about 5 minutes, and if you have really thick or extremely brittle hair then you can even keep it overnight. It may like a steep purchase but a little goes a long way so it will last you for 3-5 months even if you have long hair, thus making it an amazing product to invest in! The best option in terms of results, cost, and availability, this hair mask is great for controlling frizz and making the hair silky-smooth. It is absolutely perfect for those with damaged hair due to regular heat-styling, chemical treatments, or harsh environmental factors. A little goes a long way with this product so it lasts for a long time too. It works like magic on curly hair, wavy hair, as well as straight hair so nobody should feel left out. Furthermore, it adds lustre and softness to the hair without weighing it down, making it a wonderful choice for anyone with hair that is stressed out and needs an extra something. It does contain silicones but it truly is incredible for bringing dull, lifeless hair back to life instantly so you should definitely consider giving this a try! It was hard to decide on the rankings because all the products we mentioned are such amazing ones, but we hope that it helped you choose the right one for yourself based on your specific needs! 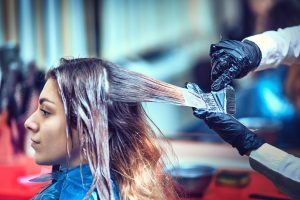 With all the harsh pollutants present in the environment these days, even if you don’t chemically treat your hair, it can still become damaged, dull, and weak. However, if you decide to go the extra mile to protect your hair by using a hair mask regularly then you could make your hair healthier and have good hair days more often!